Joseanne Capelo is privileged to be doing a book signing at Exclusive Books, Pavilion, Westville, on the weekend of the 15/16 of December. 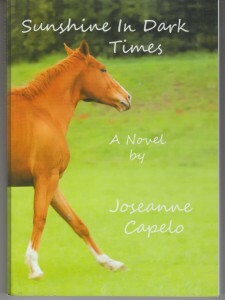 Although Joseanne now has two major published novels to her credit, the book she will be chatting to customers about and signing, is “Sunshine in Dark Times.” She will also have newspaper publicity and will be on Ukhozi FM on Sunday morning. This is a great experience for both the young author, and for members of the public to talk to a talented young girl who is also passionate about horses.